Now you’d think I’m one health-conscious buff, who watches what he eats all the time, right? Wrong. I am a ridiculously picky eater. Much like as we change our clothes every day, my tastes vary: there are times I can rack up consecutive days eating fast food (my excuse is that I don’t have time to cook), while at other times, I can survive on bread and fruits. And speaking of cooking, yes, I love to cook — but only if I have time; I am a ‘chef’ who cooks for a notoriously long period. Some dishes that can be traditionally cooked in half-an-hour can take me three hours. Really. I am that meticulous. Meanwhile, veggies and fruits only found their ‘regular’ way into my system when I was all grown up. It didn’t help that while growing up my grandparents spoiled me by feeding me a large variety of meats. So up till now, I have been a big carnivore. Although, during media events, especially at hotels serving hearty buffets, I happily gobble up greens and leaves. Well, since I don’t have those two (my personal, loving chefs) with me in this part of the world, I have to take care of myself, right? And part of that is to eat a balanced diet, or at least try to. I’ve learned to discipline myself and hold off on certain foods. I feels vindicated, to think that till a few years ago, I was unable to do this. Perhaps time brings with it increased will power. There are also financial considerations — eating healthy comes at a price. 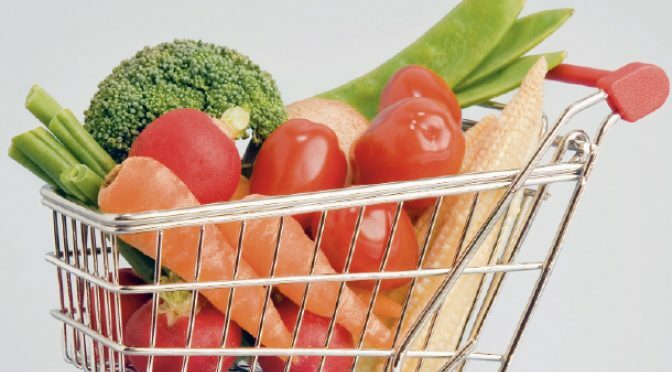 The rise of foods such as kale, quinoa, bone broth and everything organic has changed consumer perceptions, and will certainly dent your wallet if you decide to join the bandwagon. But look around: apparently, some of these ‘healthful’ things are either overrated or blown out of proportion. And don’t even get me started on organic food; I’m not paying through-the-roof prices — I have other important things to spend on — for grub whose nutritional values doesn’t have a significant advantage over what we’ve been eating before this whole organic thing went ‘mainstream’. Organic isn’t new; just remember those who lived long before us in pesticide- and pollution-free environments. In short, there are alternatives. Whenever I get smothered by organic talk or when all these organic foods make my eyes swell at supermarkets, I go to the fruits and vegetable section and stack up. And I never forget my good ol’ buddy, the salmon (non-organic). Now salmon can be expensive, but there’s a choice: I happily swap it for a more budget-friendly kilo of sardines. Lighter on the pocket, and also lighter on well-being, compared to meat or chicken. And when push comes to shove, I replicate my favourite fast foods at home think burgers and fried chicken, onion rings even — cheaper and healthier, as I know I’m using fresh ingredients. So, yeah, I’m able to hold up on my sworn duty to wife and mother to keep myself fit. I wish I could play more sports like I used to, but with my career (and timidity), it’s not easy to find the time. At least ingesting good stuff will help — and I’ve learned to slam the brakes when ‘unhealthy’ food is racing through my system for prolonged periods. But when the urge for indulgence bites me, I’m a different animal: peanut butter and chocolate biscuits, chocolate bars, sticks of frozen dessert and beef short ribs satisfy my hunger pangs nicely. Oh and I can slurp hand-spun peanut butter shakes and never tire of the flavour. I’m quite sure these last lines will cause a backlash some 7,000km away.